Christchurch’s Cam MC has come a long way since he first started rolling house parties in 2006. He is a host/lyricist with endless energy and potential. Fueled by the energy of the music and the crowd, Camo has an ability to work with DJ’s of all genres to take the atmosphere to a higher level. Camo works across Drum and Bass, Glitch Hop, Jungle, Dubstep, House, Breaks, Dancehall, UK Garage, Grime, Hip Hop, Trap, Moobah and more, no genre is untouchable for this host with the most. His experience ranges from crowds of 100 up to 3,000, having MC’d with international artists such as Nero, Chase and Status, Rusko, Camo and Krooked, Sigma, DubFX, Flux Pavilion, Dirtyphonics, Datsik, Noisia, Black Sun Empire, Logistics, Break, Artificial Intelligence, D-bridge, S.P.Y, Cyantific, Jakes, Emalkay, ShockOne, Zomboy, The Others, Bar9, and DJ Zinc. Catch Camo performing in Christchurch and around Aotearoa on the regular. Born of African descent and based in Hamilton and Auckland, Raiza is the future of Hip Hop in this country. His flow, content, and lyrical style is second to none. He doesn’t just make songs, he builds concepts. I have heard HUGE things about this man live, and can’t wait to check him for myself! Silva is one of my favourite New Zealand MCs, easily! She has toured numerous times with New Zealand’s soul sister Ladi6, and with good reason! Silva can come in rough and tough or soul and slow, she has the hype, the flow, and the versatility to add flavour to ANY set or riddim. Bringing attitude and vibes, watch out when Silva’s inside! 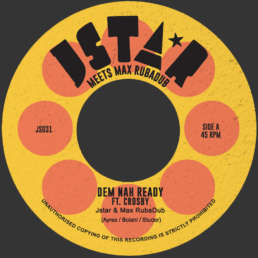 Whether it be Dubstep, Dancehall, Grime, Jungle or Reggae, dis rudegirl comes CORRECT! Beau has been working for years and years on his craft. His versatility is clear, hitting most genres with ease. Beau’s heart is in his label Dudstown Recordings. He is Hip Hop to the core, but he is also in his element as a host and hype man in the rave. Heart, soul, rhythm and rhyme. Watch out New Zealand, it’s Beau’s time! UK born, New Zealand found, Jabz is the cream of the crop when it comes to NZ Drum and Bass MCs. He has toured all over the world as an MC for SOM and now works closely with some of the country’s dopest, including Borderline and Trei. 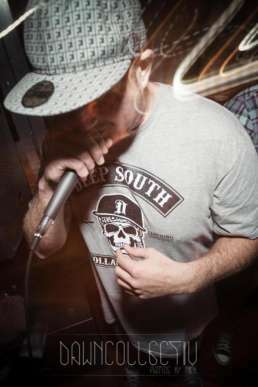 Based in Christchurch, and also the official MC for Bassfreaks, Jabz is the top of the top! Ever since this boy picked up the mic, this Christchurch MC has been destined for greatness. 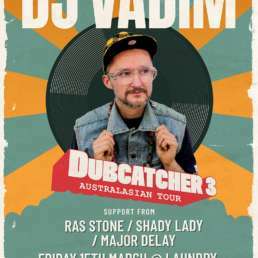 Ten years deep in the game, he has toured with Shapeshifter performing with Pacific Heights, played support to Six60 twice over the last year, laid down tracks with some of New Zealand’s hottest Hip Hop talent, and is now working on his own debut album as well as his new band Odyssey. 2013 is the year of Aeryz! Hype, live, real, Diaz Grimm is a must see performer. He puts 110% of his soul on the line every time he hits the stage. New Zealand Hip Hop means dirty south trap. The future, no doubt! Glitch Hop mastermind behind the mic on the K+lab project. Brother of K+lab’s own Caleb Cowie, Joe Cowie aka Analog MC is a master of the toast and roast on the futuristic Funk Hip Hop jam! Being brothers in arms, he and K + lab are a match made in heaven! This multi-talented badman has found his way onto stages all across Aotearoa over the past year as the official MC of New Zealand liquid Drum n Bass Producer, DJ Eavesdrop. No doubt you will be catching his styles all across the country at many festivals this summer! 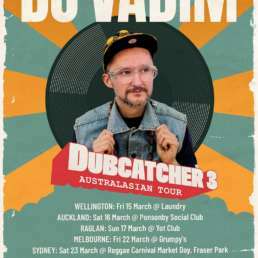 This Rastafarian dancehall MC of Chilean decent has been working his way up the ranks since first arriving in Aotearoa. Touring regularly with New Zealand’s top roots producers Reality Chant, Jah Red is only at the beginning of his journey as a microphone soldier! It’s always good to see a female stepping up as a host MC, and Jenna Lynn is progressing nicely within her zone! Based in Christchurch, she is a protégée of the infamous MC Tali. Lately she has been stepping up at both House and Drum and Bass raves alike! Jenna also fronts bass electronica band Superfood.